Like every year, Las Vegas was also dominated by the three day mega event Electric Daisy Carnival (EDC) in 2014. More than 400.000 music fans from all over the world celebrated a giant festival with the most popular DJs for electronic music on 8 stages. 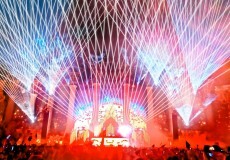 More than 30 high power laser systems from Laserworld Group were applied on the main stage, “Kinetic Field”. The Laser Shows were staged by Lasertainment, Laserworld’s partner, who was the exclusive supplier for laser show equipment on this stage. Insomniac Events realized the overall show production. 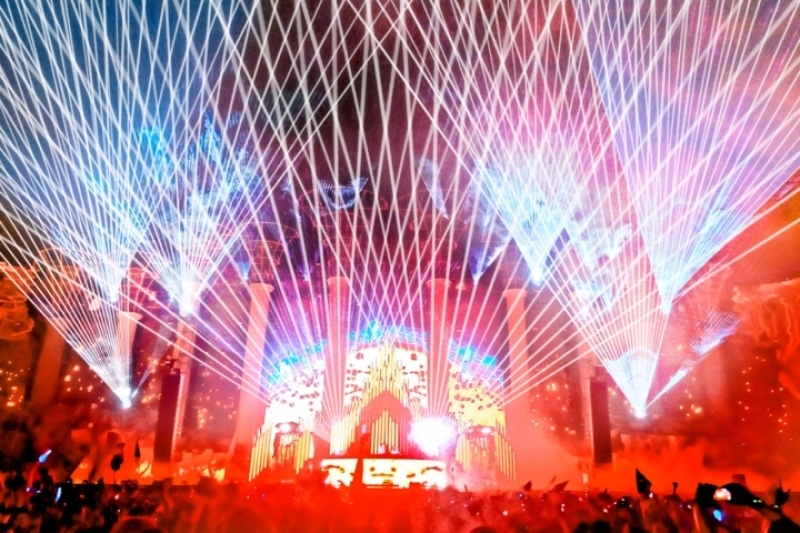 Laser Shows at a scale like EDC are quite a challenge – especially if time code synchronized as well as live operated systems is required. To get the most out of the high end laser systems, an individual control of every single unit was required. 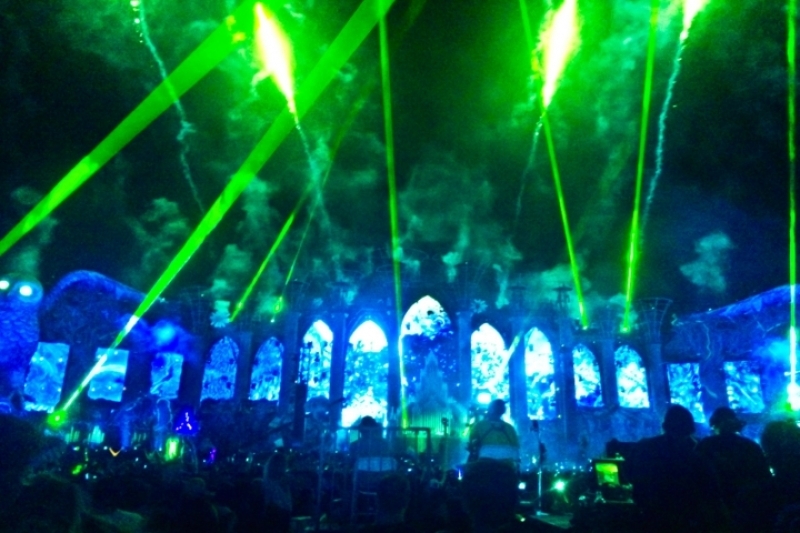 Lasertainment brought highly experienced laser show operators from Europe with many years of live stage experience to create the extraordinary show. The RTI NANO and PIKO laser light systems were controlled with Lasergraph DSP controllers (one per each laser) and a Grand MA 2 live control. Besides that, a 60 minutes time code synchronized show for 9 DJ intros were implemented. As the Front of House was about 260 ft. from the stage, the whole laser control signal was transmitted with glass fiber, later on with CAT6 cables, to avoid any signal problems. A good outdoor laser show requires well distributed fog or haze all over the area to create the most spectacular impressions. At EDC Las Vegas there were more than 60 fog/haze machines present at main stage to ensure sufficient effects support for the lasers. Due to the very low humidity of only 5%, the continuous wind and the dust in the air the most durable systems for such conditions were requested. The whole show worked perfect, the setup was done in 2 days & nights. The two rehearsal days showed that all systems worked more than well.